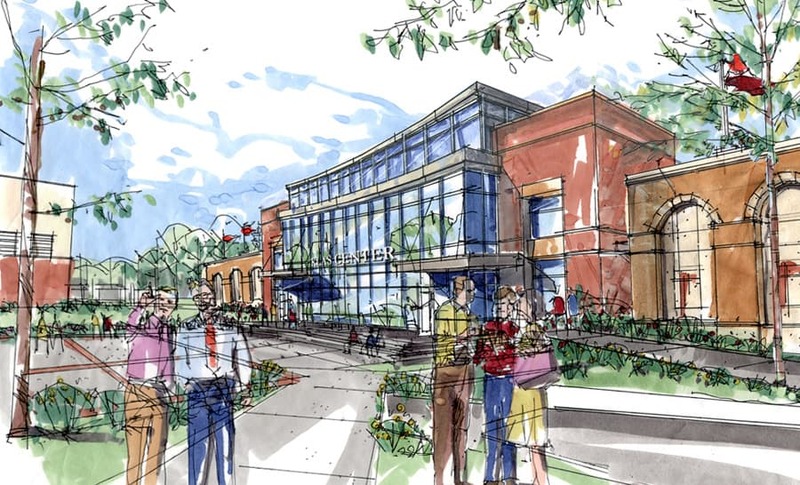 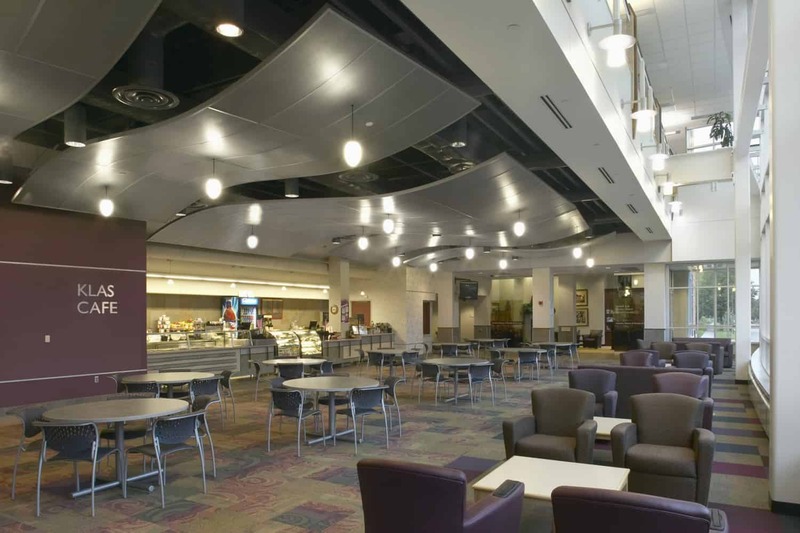 The team designed a multifunctional facility with event spaces and classrooms, allowing the university to accommodate many programs into a tight site. 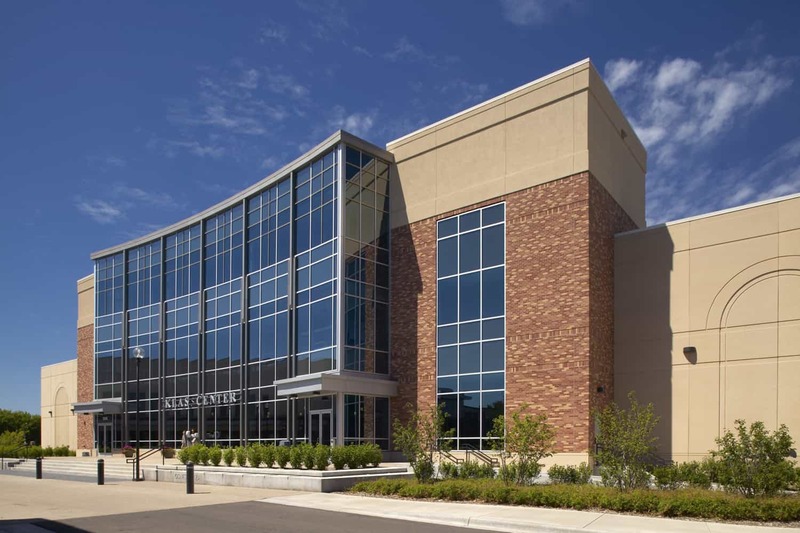 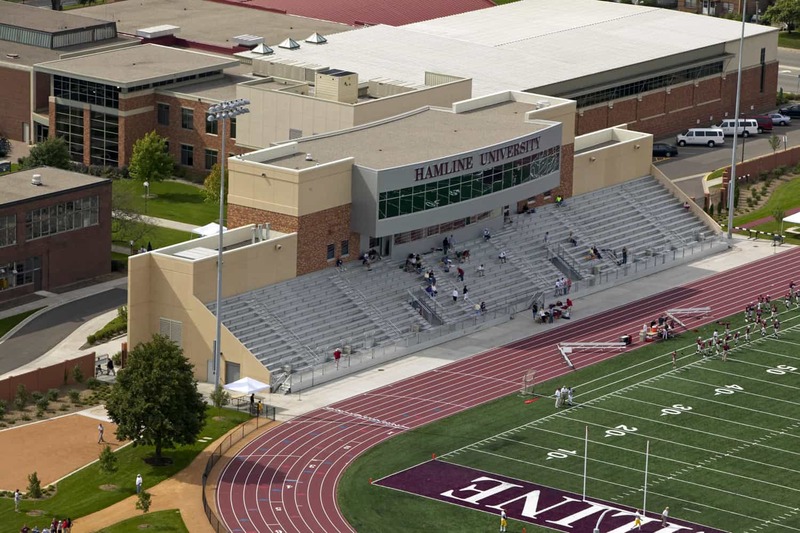 The building’s south side, with its three-story glass façade, faces Hamline’s Old Main and connects to the main campus mall and student center; the north side anchors the new stadium. 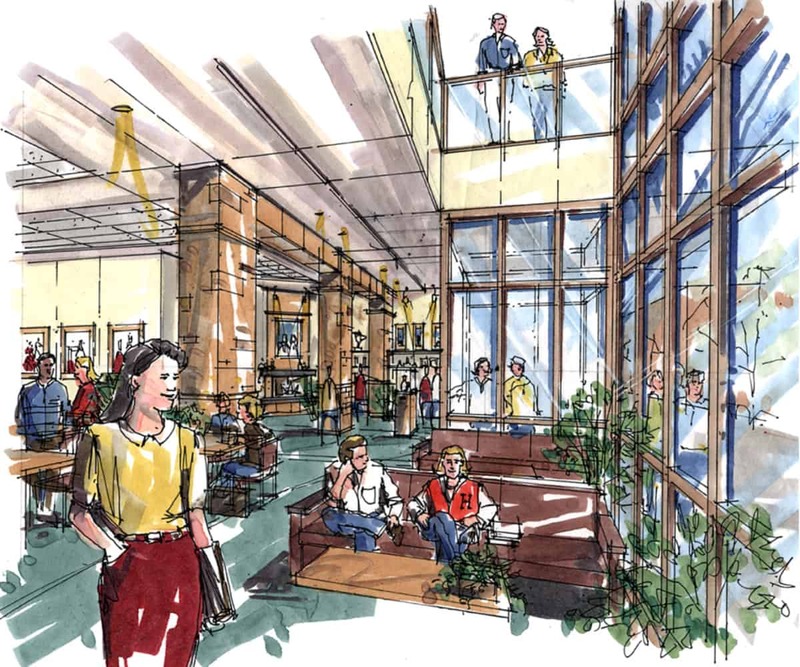 A ground-level café gives students, faculty and alumni a natural area to gather, socialize and relax, while the cantilevered banquet room’s floor-to-ceiling windows frame views of Old Main to the south and the stadium to the north.